Do your staff need a solid foundation in American governance? This program is carefully designed to train NGOs, nonprofits, embassy staff and government agencies in the ways and reasons why the U.S. government system functions as it does. Roles of non-governmental organizations, think tanks and others. How the president's administration and executive branch interact with Congress. How domestic and foreign policy decisions within the executive and legislative branches are influenced by economic and political realities. The budgetary and policy information produced in executive agencies. The role of lobbying in the legislative process. The media's constitutionally protected role in shaping policy debate in the U.S. government, national decision-making, and public opinion overall. The organization, jurisdiction, and work of U.S. federal courts. Cooperation and conflict between the judiciary and the legislative process. The impact of judicial review on new and existing law. Audience Level Understand spoken and written English. Audience Size This program is most effective for between 15 and 75 attendees. Don't have enough people for a custom, on-site program? 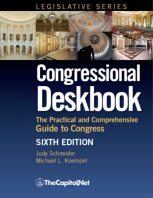 See our Capitol Learning Audio Course. Previous Clients We have tailored this course for foreign diplomats and others. Course Materials Materials are included. Usually requires 1 day to 2 days. This program is usually held in Washington, DC. It can be presented anywhere in the United States and in many foreign countries. 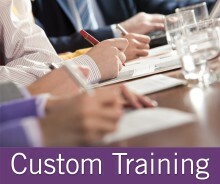 If you don't have enough staff for a custom, on-site training program, this course is available on audio. Our faculty for this program are all Hill veterans with current Hill experience.